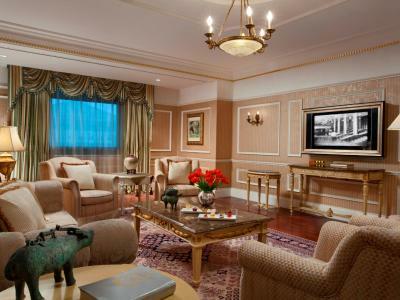 Lock in a great price for Beijing Hotel NUO Forbidden City – rated 8.6 by recent guests! Location was great! Hotel staffs were very helpful and friendly. Hotel facilities was superb! Bed was soft and comfy. Room was very spacious. Room service was very attentive. Lobby staffs was very attentive and always made sure that we were not lost in the hotel. Everything was grand!!! The staff accommodated us with everything we needed, from maps, to bikes, and answered questions about what to do in the area and where to find local delish desserts!! I will definitely book this hotel again! Great service from the moment you step into the foyer! Rooms were very warm. Fan and open window would not cool it down. No air conditioning. Phones didn’t work. Constantly had interruptions due to attempts to repair phones. Good location, there is a good swimming pool, the room is spacious. Service was excellent. 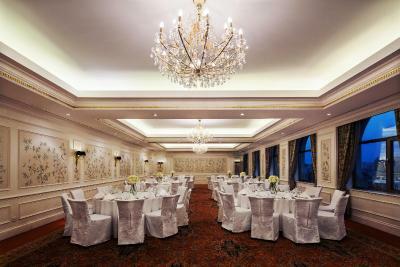 Room was excellent with modern amenities. 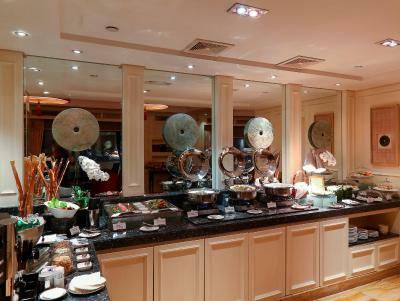 Breakfast buffet is superb! 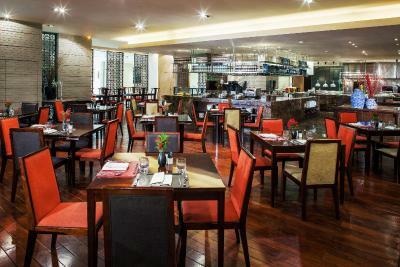 Staff and service throughput the hotel is excellent ++ and facilities very good. The location is also excellent. 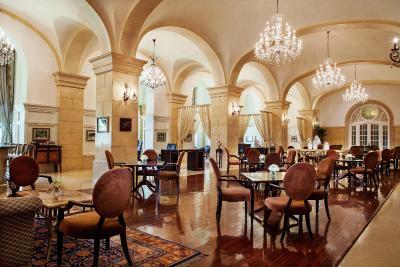 Loved staying at this beautiful historical hotel. The room we stayed in was wonderful. Breakfast was superb. Enjoyed the variety and quality of the food on offer. 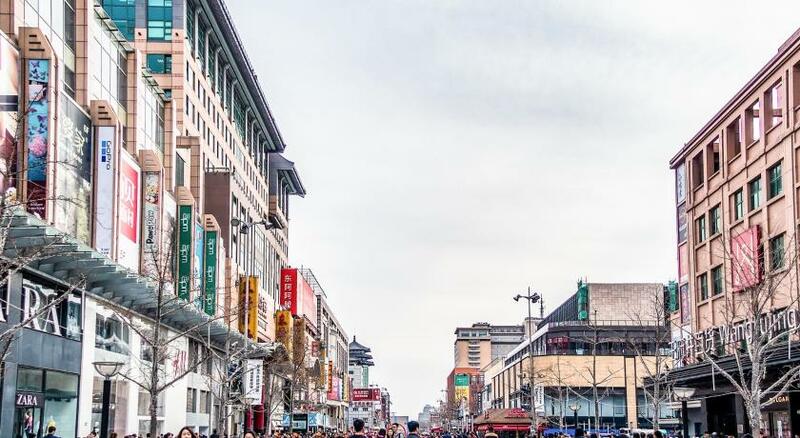 The hotel is in a great location and easy access to Wangfujing metro station and shopping street. Walking distance to Forbidden City and Tiananmen Square. 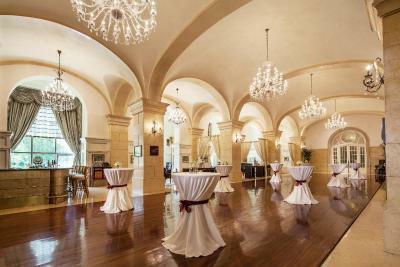 When you stay at the hotel, check out the former ballroom on the ground floor. Some distinguished guests have visited this hotel. Would I stay in this hotel again...most definitely! The room size is good! Staffs are nice and helpful! 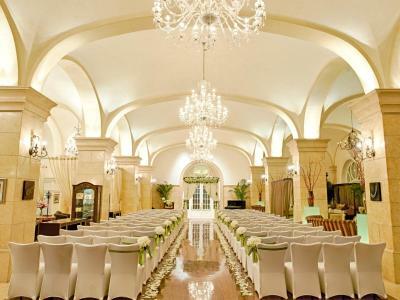 Hotel is big and spacious. 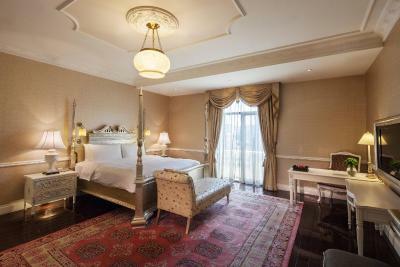 One of our top picks in Beijing.Set in a classic French-orient architecture, Beijing Hotel NUO showcases the charm of Old China with its rich furnishings and priceless antiques. 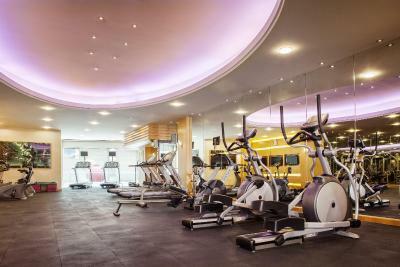 Aside from free Wi-Fi, it features pampering spa services and an indoor pool. 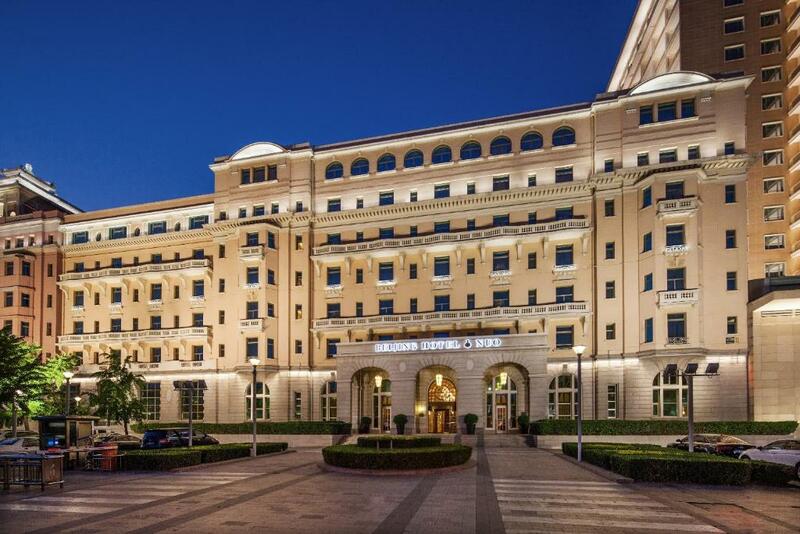 Beijing Hotel NUO is located within the popular Wangfujing shopping area, a 3-minute walk from Wangfujing Metro Station (Line 1) and a 20-minute walk from the Forbidden City and Tiananmen Square. China World Trade Center is 16 minutes' drive away. 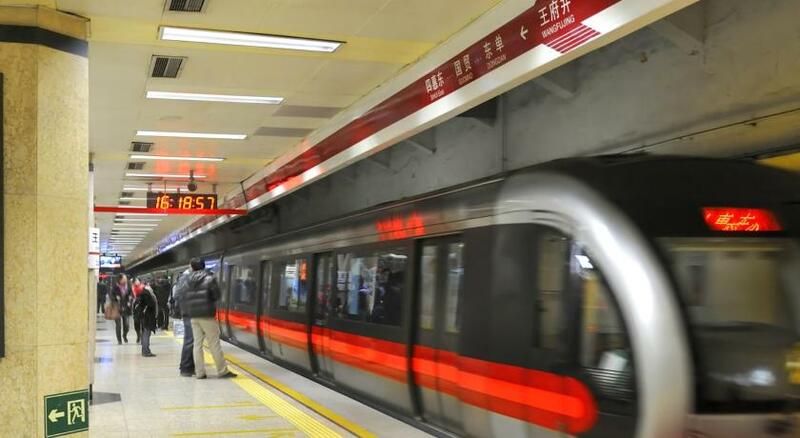 Beijing Railway Station is 10 minutes' drive away. Beijing Capital International Airport is 50 minutes' drive away. Extra spacious and fitted with air conditioning, rooms at Beijing Hotel NUO are equipped with flat-screen satellite TVs and DVD players. 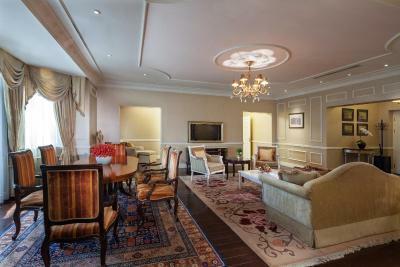 A personal safe, mini-bar and ironing facilities are also included. 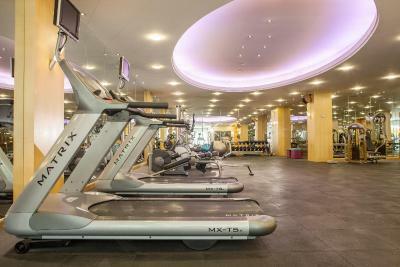 Staying guests can exercise at the state-of-the-art fitness center. 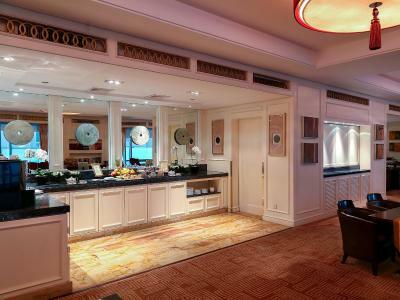 Beijing Hotel NUO also provides a tour desk and a souvenir shop. 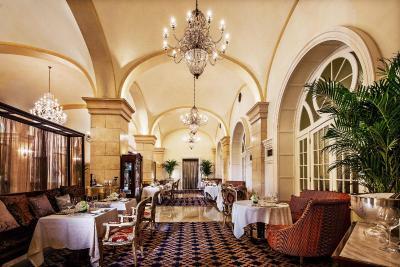 East 33 Restaurant serves an international buffet, while Jaan Restaurant presents creative French dishes and an extensive wine list. Live jazz piano music and delicious cocktails can be enjoyed at Writer's Bar. 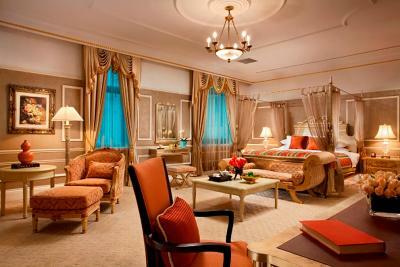 When would you like to stay at Beijing Hotel NUO Forbidden City? 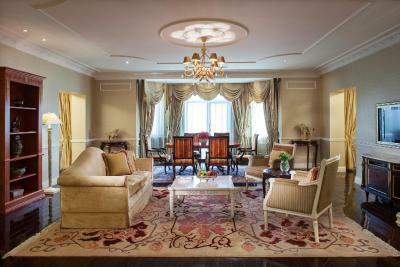 This room has a separate living room. 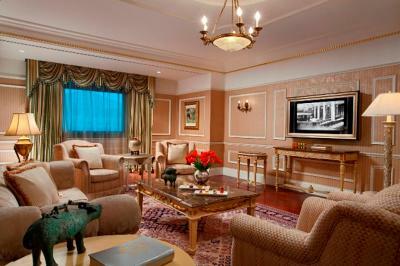 LCD television, premium channels, refrigerator, mini-bar, and coffee/tea maker are provided. Extra charges will be applied for the third person staying. Private parking is available on site (reservation is needed) and costs CNY 60 per day. Overlooking the city view, larger room comes with a safety deposit box, a hot tub. 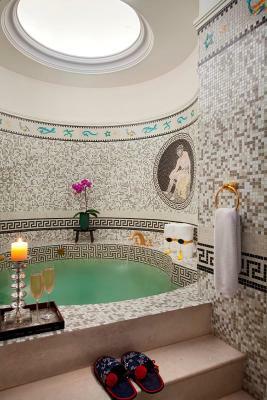 It features a seating area and marble tiled bathroom with twin washbasins. From 15 March to 31 December 2019 (excluding 27 September to 4 October 2019), guests are entitled to CNY 700 discounts to be used for drinks and food at all restaurants in the hotel. This king room has a bathrobe, mini-bar and DVD player. This room has a LCD television, premium channels, refrigerator, mini-bar, and coffee/tea maker are provided. House Rules Beijing Hotel NUO Forbidden City takes special requests – add in the next step! Beijing Hotel NUO Forbidden City accepts these cards and reserves the right to temporarily hold an amount prior to arrival. Temperature in the room was high. We tried setting the room A/C down but room temperature would not go down at all. Shower stall glass room was not installed correctly and could not be closed shut. Made the floor outside the stall wet and thus not very comfortable stepping out the shower. The whole property is old but prestigious. Good value of money. Location is great and staff are all very professional and friendly. Breakfast is AWESOME! Bed extra comfy. Location was the best. Very close to subway, Forbidden City and Wangfuging Street. Service was excellent. 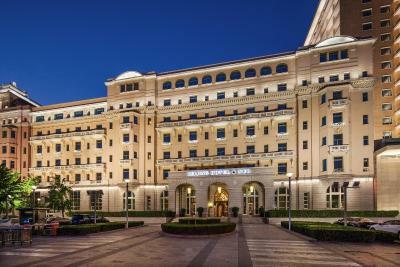 Superb location very close to the Forbidden City. Old style decoration of the rooms so different from the standard international hotels. Lovely stay and appreciated the upgrade in room. Only issue was the room was too warm and we could not open windows. The beds are very hard and the heating was very warm and cannot be turned down. Staff were very apologetic about this and found us another room that was a bit cooler. The location was excellent. Subway outside, in walking distance of The Forbidden City and right beside Wangfujing Street which is fantastic for shopping centres and food markets. 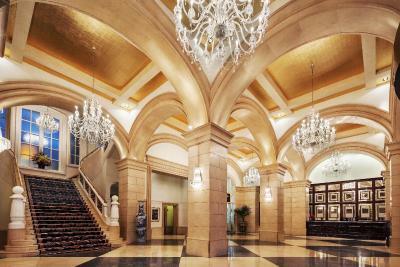 The lobby of the hotel is stunning. 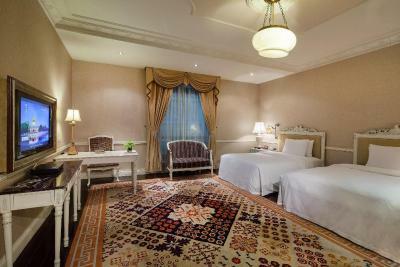 Room is spacious and perfect for city trip, lovely bathroom and robes. Staff have good English and are helpful. We didn't had a view from our room. Perfect place to visit Forbidden City and the surrounded sights. But for going out and/or having drinks it's little bit far from the right areas. 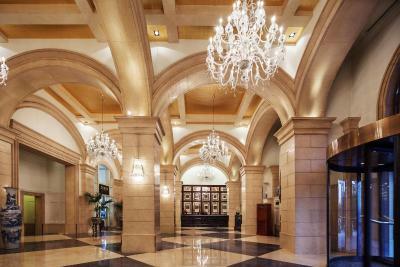 Rooms are big, beds are very comfortable and staff very helpful. Would stay again! Aircon control in room was broken so too hot and coming in and out of cold very uncomfortable to regulate body temp. TV had a mind of it's own and generally the layout of the hotel was cumbersome. Heightened security meant door and floors locked and was a convoluted trip to go to breakfast or just in and out of hotel. Convenient rear door locked the whole time I was there. The staff were excellent and the location is very good. Old architecture charming and reminder of past era. The hotel was too warm. Controlling the room temperature was very difficult. The shower/bathroom doors wouldn't close properly. Wifi hit and miss. The facilities, especially the wall sockets needs to be updated. Some floor parts in the room needs to be fixed as well. The changing rooms for the swimming pool were absolutely minging. Really mucky. The full monte - hair bunnies in the showers, a new dead roach every day we were there (I guess it could’ve been the same one repositioned for decorative purposes...) and a strong sulphurous smell that bothered us while swimming. Additionally and weirdly, while the rest of the hotel was on the hot side, the pool and changing rooms were Arctic - not the water but the air. This made for a bracing dash from the pool to the aforementioned changing rooms; not something you wish to do at speed while dodging suspicious stains. If the pool facilities had been better this would have been an entirely lovely stay. 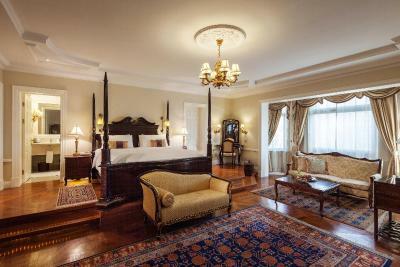 Staff very kind and attentive, rooms extremely spacious with period decor that immediately felt luxurious. Breakfast was very good with a wide range of Western and Chinese food options. The bath salts were a nice and unusual touch.